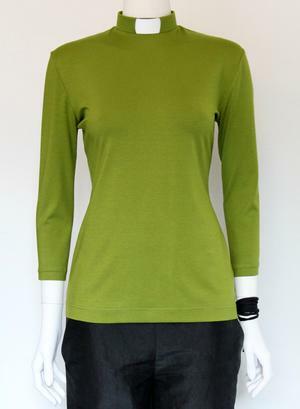 EVA jerseytop with 3/4 length sleeve and zip at rear neck. Nice fit with an 3/4 sleeve you will always feel well-dressed in. One collar is included per item. The EVA-top is made on demand in our studio. It means a little longer delivery time, approximately 5 weeks.